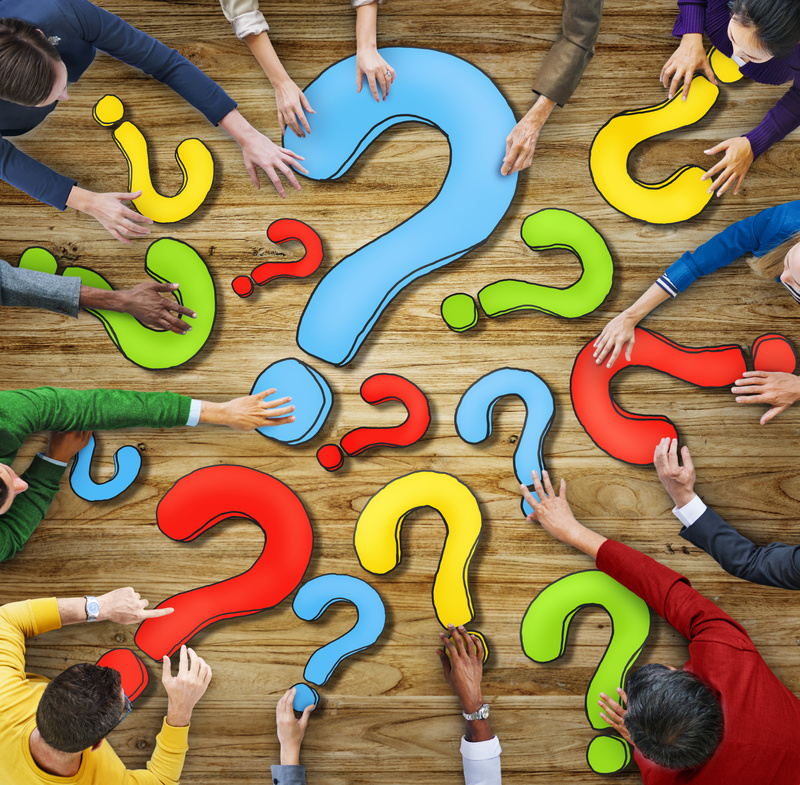 Many children on and off the autism spectrum engage in repetitive questioning. It can be frustrating, exhausting and difficult to decrease. The first step in addressing the repetitive questions issue is to investigate the underlying cause. Once that is known, the next step is to determine the type of strategy needed. 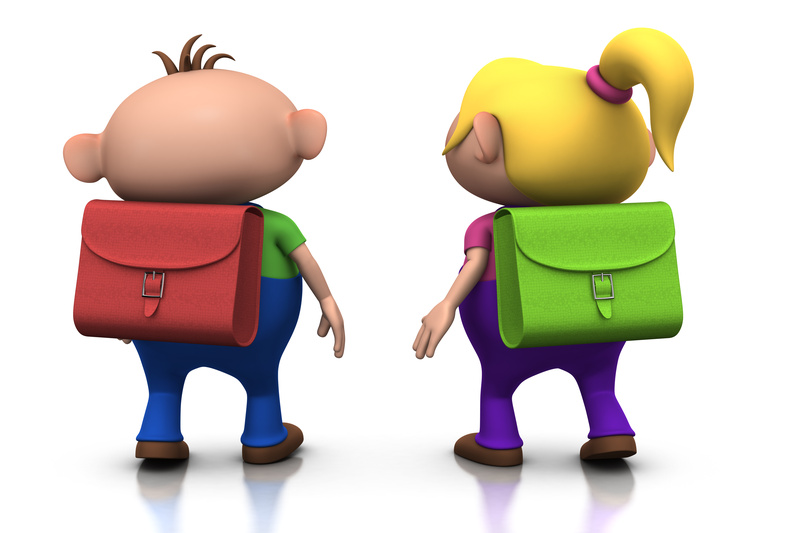 Some students will need a behavioral strategy and some students will need a cognitive behavioral strategy. One Lunch Buddy in the group today needed a combination of behavioral and cognitive strategies. We reviewed Superflex’s Very Cool Five-Step Power Plan for defeating the Queen of Wacky Questions. The Queen of Wacky Questions gets people to forget the hidden rules about questions. She can make people ask questions that they already know the answer to, questions that are not on topic, or just too many questions! Next, we read the social story Questions, Questions, Questions (a social story from http://www.thewatsoninstitute.org). 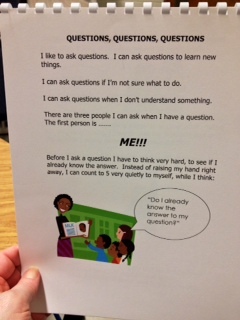 The story provides strategies for asking questions, such as, “Before I ask a question I have to think very hard, to see if I already know the answer”. a circle was colored in each time he asked a wacky question. It all worked like a charm! He was so aware of his comments and questions. At the end of the hour, he had asked two wacky questions. Next time, he will be allowed to ask two wacky questions and so on. I think because he was very tuned in, his general questions were better and on topic and so appropriate. Happy Happy Happy! With some students, there is comfort in knowing that if they ask a question an adult will answer. Sometimes that becomes the script – same question same answer. In that case, change the script. Telling the student that you will only answer the question once and give no further verbal response is also a behavioral technique that works. The focus is on not rewarding repeated questioning with “verbal answers”. Helping students to learn more about Social Wonder and World Wonder questions and then practicing asking those types of question helps them to be flexible thinkers. Positive self-talk, “I will think more about my questions when I talk to others”, works well too. 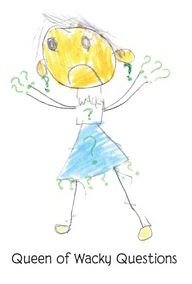 Learn more about cognitive behavioral strategies, Superflex and the Unthinkables at http://socialthinking.com. Check out the blog post about Perspective Detectives at http://autasticavenues.com. The Lunch Buddies are always celebrating friendships. We work hard to strengthen long term friendships and to build new ones. 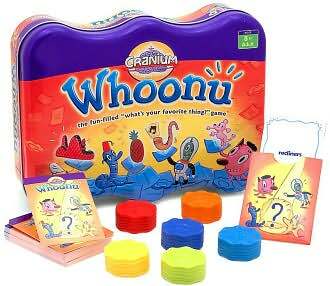 Last week, we played a new (to us) game called Whoonu. To play, we had to open friend files and dig deep into the information we have stored there. 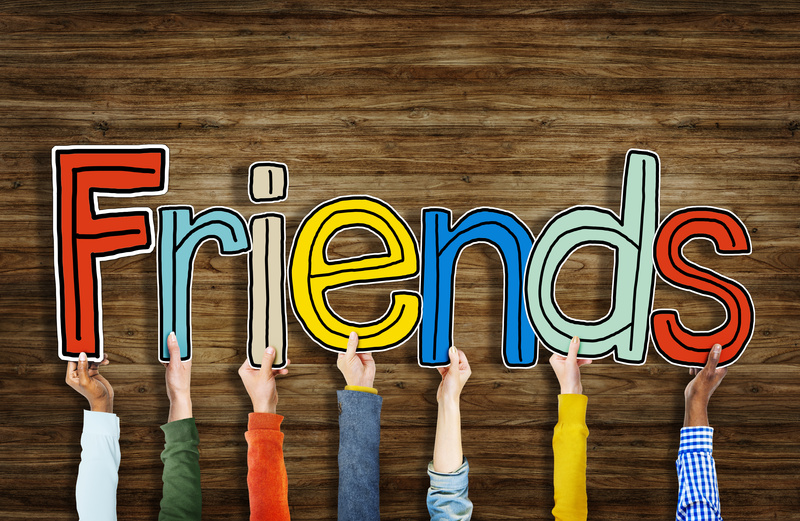 We had to work hard not to think only of our own likes and dislikes but to think of our friends’ interests. 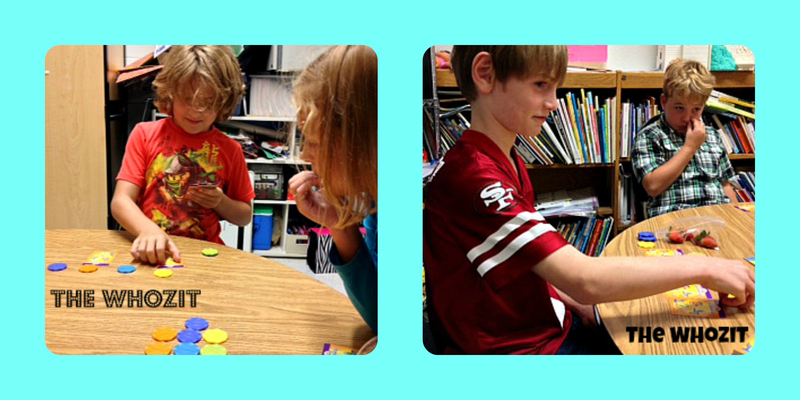 Playing a round of Whoonu helps us learn about new friends who have joined Lunch Buddies this new school year, too. Whoonu that Ms. McCallister liked jazz? Davis did! Whoonu that Davis liked the World Series of baseball? Ms. McCallister did! We had big laughs when realizing just how well we know each other. Showing interest and being curious. Some students find it difficult to show interest in others. This game gives practice in referencing others with eye gaze and by saying their name. Asking/formulating questions is another tough skill to master. 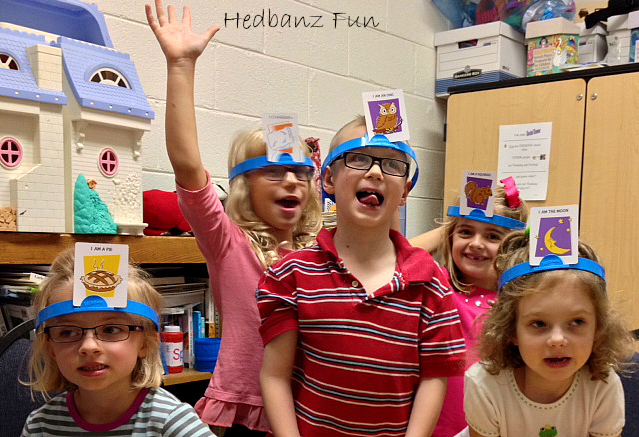 With Hedbanz we have many turns to see and hear what reciprocity looks like and sounds like. Conversation breakdowns. Hedbanz allows us to identify breakdowns and repair them in a playful way. Impulse Control. Players will be tempted to blurt out the name of the picture (which will cause uncomfortable thoughts all around). Practice makes progress! We played Apples to Apples last week too. Our focus was perspective taking and this game is so adaptable. 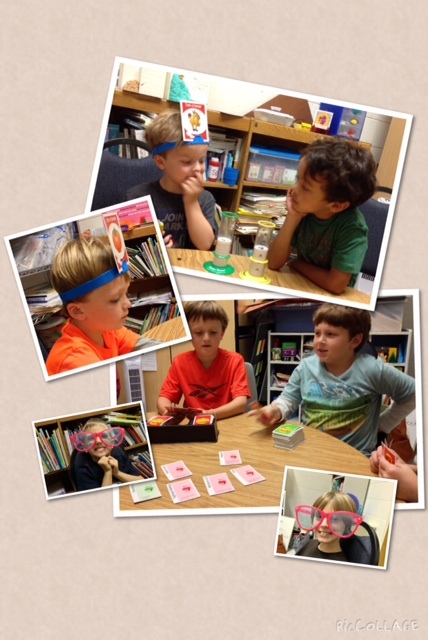 In Lunch Buddies we switch up the rules of the game often to help with flexible thinking. This time, the rule was to pick cards that you think the judge will choose – take the judge’s perspective. Oh boy! that was tough. 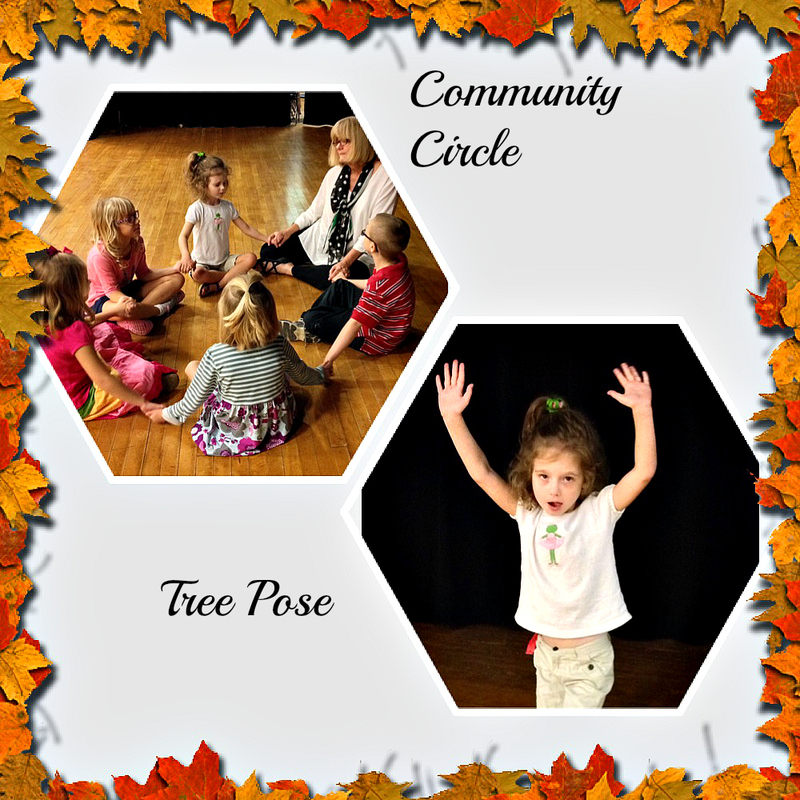 When new friends join a Lunch Buddies group, a Community Circle helps them feel welcome. A gorgeous day in the Commonwealth! Enjoy! When we play Buzz Blast, we like to pick a category and then when it is your turn to hold the buzzer you must name an item from the said category. 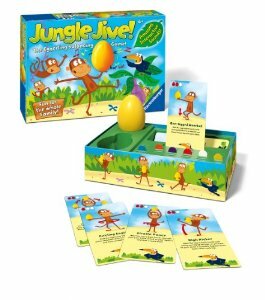 Jungle Jive challenges us to be flexible and focused. 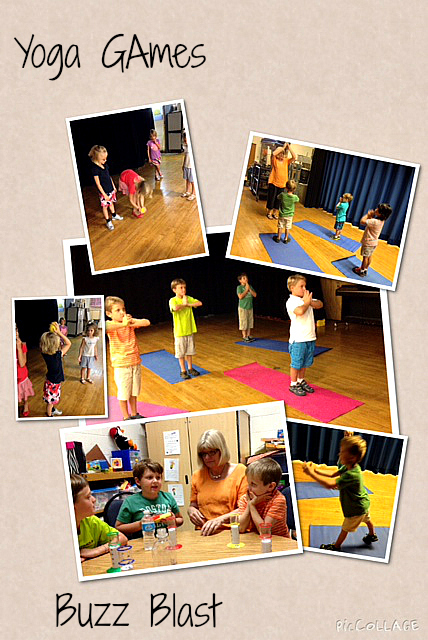 It is a great way to practice concentration and coordination on purpose! The Girl Group has evolved. We now have a boy joining us and he could not be more thrilled! 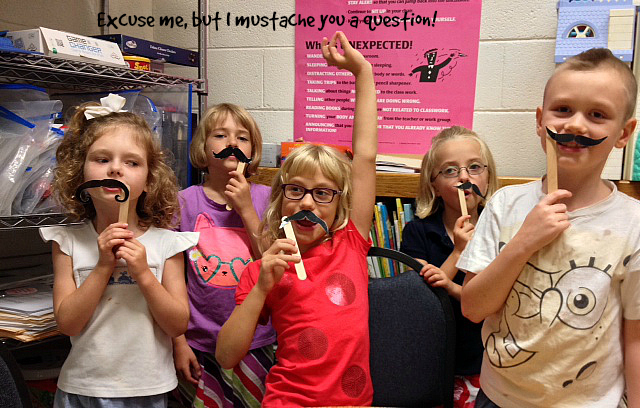 We like the I Mustache You a Question activity created by http://sublimespeech.com and available from her store at http://www.teacherspayteachers.com. The game helps us practice using the names of our friends and referencing them with our eyes when we want to ask a question. Hope everyone is enjoying back to school too!